As I continue to expand my home microbiology lab, a stir plate seemed like a logical addition. Good laboratory grade ones are reliable, but expensive ($75 on up). Cheap kits and cheaply made stir plates are easy to find on-line, but often only have middling reviews. So, I decided to make my own. Not being an electrical engineer, I wasn’t entirely in love with the idea of soldering wires and the like, so I elected to use one of the builds that modifies a computer cooling fan. 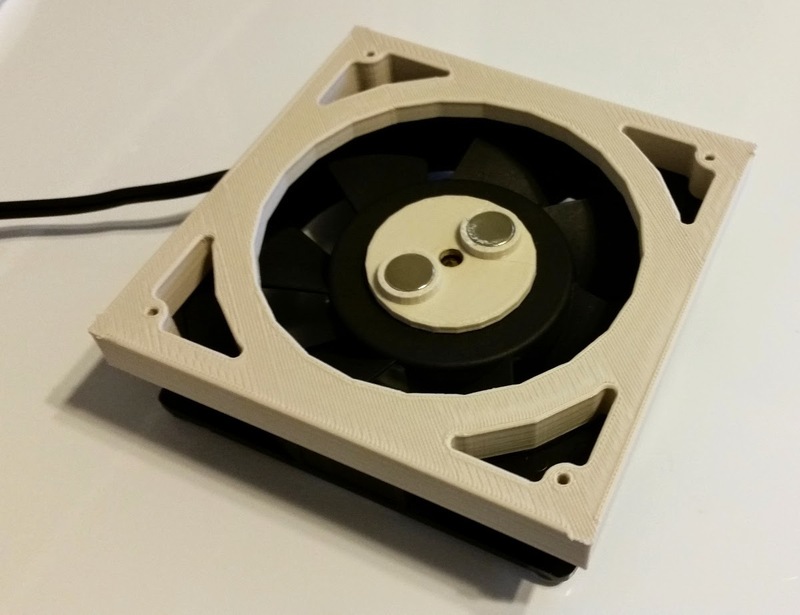 A project posted at Homebrew Finds gave basic directions, some designs for a 3D printed magnet mount, and a list of parts easily found on Amazon. A little more searching on Thingiverse found this base for the Ehrelenmeyer flask, which I shrank slightly in the Z-axis (subtracting ~5 mm, but leaving the X and Y dimensions unchanged) before printing in order to move the magnets closer to the stir bar. I also added some silicone feet under the fan, to give a little air circulation as well as to prevent movement of the stir plate when in use. All told, it cost about $40 in materials to put this together. 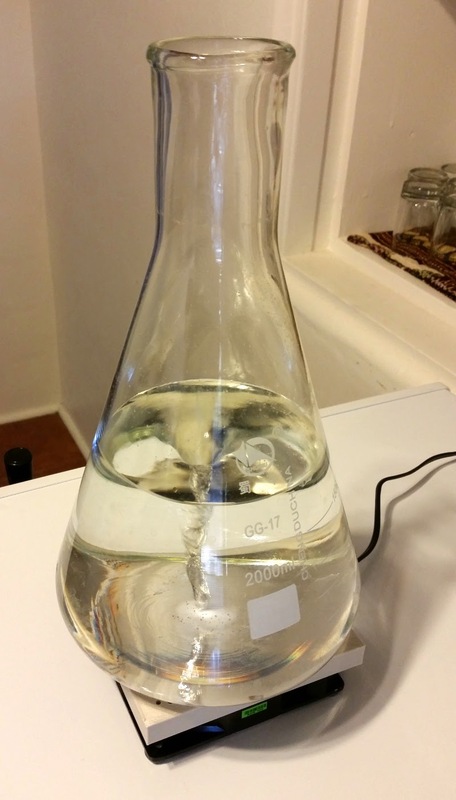 I assembled the stir plate this weekend, and ran a test with about 1.5 L of water in my 2 L flask. The setup works pretty well, and I’ll be putting it into use for my next batch. This entry was posted in equipment, stir plate. Bookmark the permalink.